Now I could write a book on this subject. You can rent or compile your own lists; that’s the short answer. Without a doubt the right “list” makes a difference. It is over fifty percent of the success equation. I will cover the long answer in another article. 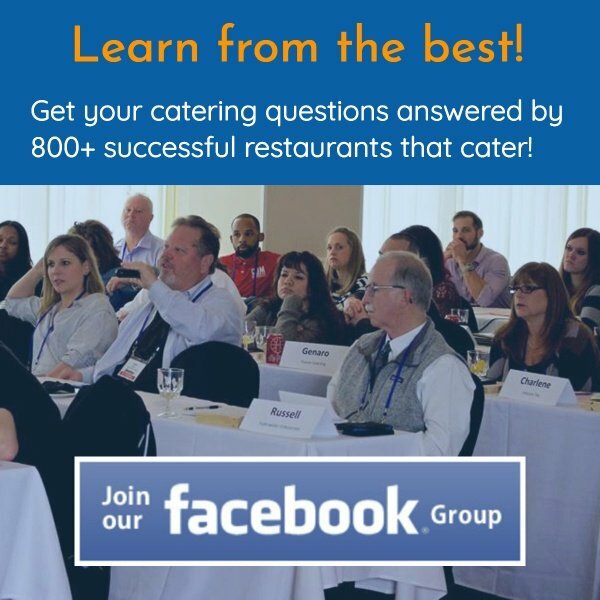 Let’s discuss the best way to reach catering decision makers. Once upon a time, getting to the right person was easy. Think back to the early 1900’s. There was no TV, internet or much mass media to distract us. If a traveling salesman came by the farm, you welcomed the company and stories. If Sears & Roebuck mailed you a thousand page catalog, it was your fireside entertainment; dreams of things you wanted and a source for your Christmas wish list. These days I get five catalogs a week. Getting through to the catering decision maker takes multiple touch points via multiple strategies. If I had a dollar for each time someone just wanted to use email. After all, it costs nothing. If “free” doesn’t work, it isn’t free. It’s costly. I just returned from a marketing conference in Atlanta. Top companies are using multiple touch points: direct mail, telephone, email, social media touches, Google ad words, etc. In fact, I just made a commitment to launch a new podcast. It is called Restaurant Catering Smarts. 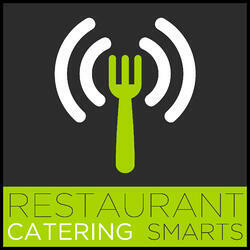 I urge you to go to www.RestaurantCateringSmarts.com and register to get updates to new podcasts. You can even check out my first episode. Make sure and register at my site to get notified immediately of new shows and get automatic downloads from your podcast service of choice. Why did I launch a podcast? The world is changing. More people have smart phones and blue tooth. It is so easy to stream a podcast through your car speakers at your convenience. You can listen while you walk or jog. You can listen while waiting in line or at the doctor’s office. You no longer need to be tethered to your car’s audio cd player. Now back to how to reach catering decision makers. Create a marketing rhythm. Get in the habit of adding a set number of qualified catering prospects to your funnel each week. Mail them, call them and visit them. In RCS, we have a 3 step catering lead generation postcard system. After all three mailers go out, you’re prompted to call them. We are going to build a cookie drop screen. After the first two steps are completed, you’ll see all of your non-responders on a map. From there, you can group catering prospects to visit after lunch with a cookie drop. Imagine. As opposed to bringing cookies to all fifty offices in a high rise, you can focus on the four offices who house the companies who actually use catering services on a regular basis. You can add in email touches and social media touches like LinkedIn and Facebook. Do you think it was a coincidence you received a Facebook feed announcement of my webinar last week? Marketing excites me. 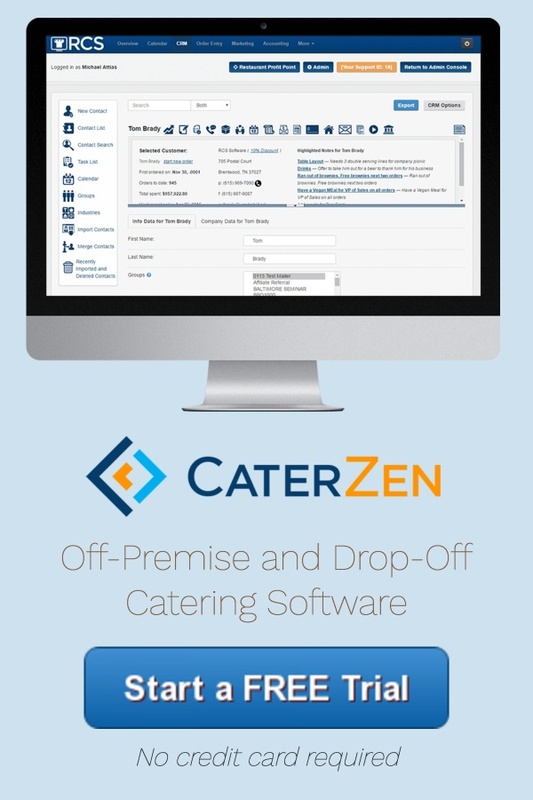 Any time I can provide a tool to help you make more catering sales, I’ll be taking a serious look at adding it.